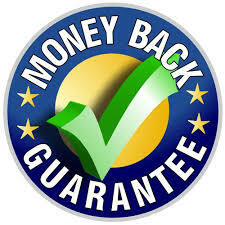 Driving instructor Training Manchester- MONEY BACK GUARANTEE. Our driving instructor trainers are highly qualified and have 20 + years experience between them of delivering driving instructor training, some of our trainers are also government approved (ORDIT) driving instructor trainers. We offer quality ADI instructor training . Call now on 07506701431 for more information. All sorts of people from all walks of life have become driving instructors and if you’re considering a change in career we can help you every step of the way.Becoming an approved driving instructor (ADI) is an extremely worth while and satisfying experience and as well as teaching an individual life changing skills and abilities, it offers much more than just a career. So long as you have no major criminal convictions spent or pending (some convictions will be considered by the DVSA), have held a full UK or a European license for at least 3 years, have no more than 6 points on your license and can read a number plate at a distance of 27.5 meters, then you are ready to start your career as a driving instructor. The ADI theory test will take approximately 1 hour 45 minutes. it Is similar to your learner theory test you have taken. it is completely computer based, contains multiple choice questions and there is a hazard perception element to the test too. You must pass both parts to the test in order to pass your ADI theory test. The fee for the ADI theory test payable to the DVSA is £83. On The multiple choice part of the theory test you will be asked 100 questions in total you must achieve an overall score of at least 85 out of 100 on this part. On the hazard perception part of the ADI theory test you must score a minimum of 57 points out of 75 to pass. The approved driving instructor (ADI) part 2 driving instructor element of the test is a test of your driving ability. You are only allowed 3 attempts at this test. If you fail 3 times you will have to wait 2 years from the date you passed your ADI theory test. This again is similar to the learner driver test, you are however, expected to drive at a very high standard – this is reflected on the fact that you are only allowed 6 driver faults, therefore seven or more driver tests will result in a fail. Just like the learner driver test – any serious or dangerous driving faults marked will also result in a fail. The fee for the ADI practical test is £111. Eye site test and Vehicle safety questions. Moving off (including at an angle) and stopping both on the left and right hand sides of the road. Parallel park/ reversing into parking bay. Motorway, country and town driving. The part 3 test has been known to be the most difficult of the 3 qualifying ADI exams by many people, but with self discipline and the correct ADI training in Manchester it is just as easy to pass this as the part 1 and 2. The supervising examiner (SE) will assess your instructional technique by playing the role of 2 different pupils at 2 different phases.The first phase will be testing your ability to teach a novice or someone at the very early stages of learning and the second phase will assesses your ability in dealing with a pupil who is at a reasonably good standard.The supervising examiner (SE) plays the role of a novice driver in the first phase of the test and of a experienced pupil in the second phase. 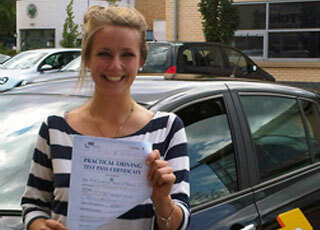 You must obtain a minimum of Grade 4 in each phase of the to pass and qualify as approved driving instructor (ADI). just like part 2 you are limited to 3 attempts. If you fail this part 3 times you will have to wait 2 years from the date you passed your Part 1 before you can begin again. You will then have to retake and pass Part 1 and Part 2 again. In order to pass and become an approved driving instructor (ADI), you will need to show the examiner you can identify any fault that he/she makes. You are then required to analyse the examiners fault, and then rectify it by suggesting remedial action. Any fault the SE makes will on the whole relate to the chosen PST. We will aim to save you valuable time and money with our driving instructor training programme by guiding and training you to pass all of the required ADI qualifying tests as soon as possible so you can kick start your new career. Training to become an approved driving instructor can take a lot of hard work and commitment; however our driving instructor trainers in Manchester are well trained and committed to giving support, patience and inspiration to supply you with all the tools you need to start your long and successful career as a driving instructor, look no further than our driving instructor training, the best driving instructor training your money can buy. ADI Training Manchester and ADI Part 3 Rescue training. We have a fair amount of clients come to us after having had ADI training with other training providers. Not all ADI training in Manchester is the same. We have a proven track record of getting people through the part 3 training. Call now and find out why you should choose us over other ADI training providers in Manchester. 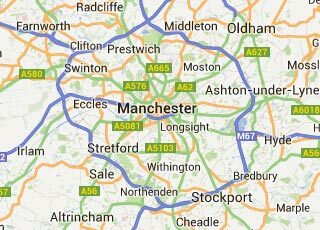 For ADI training manchester, driving instructor training in Manchester give us a call now!